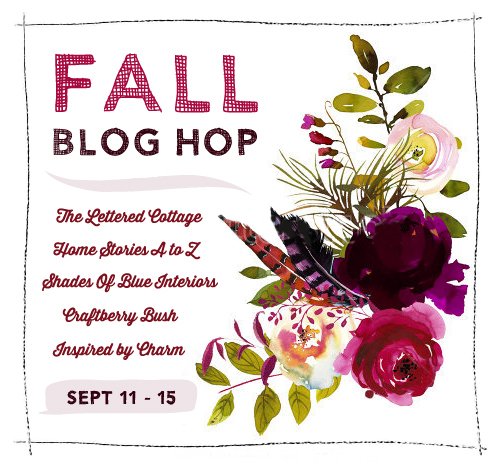 Our Fall blog hop continues today over at Michael’s blog, Inspired by Charm. 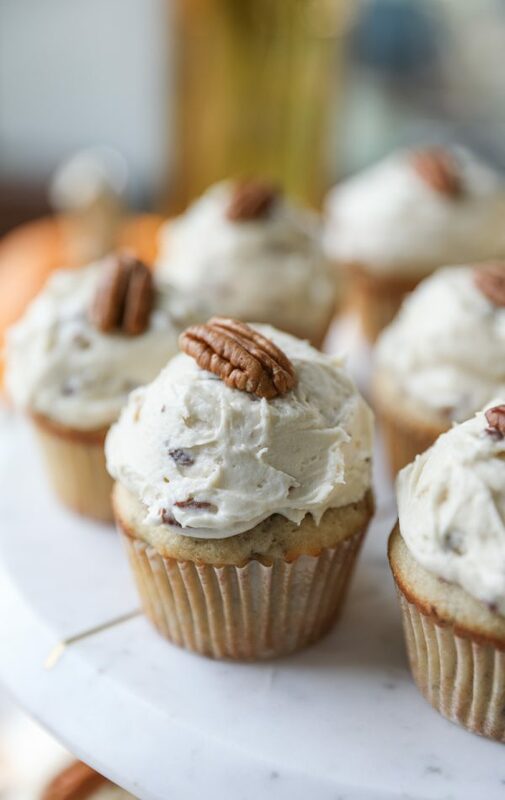 He’s shared a yummy butter pecan cupcake recipe and you’ll definitely want to swing over to his place to read all about it! I’m re-sharing one of my mother-in-law’s delicious cold-weather recipes here today too, because I know my readership has probably changed a lot since the first time I posted it several years ago. 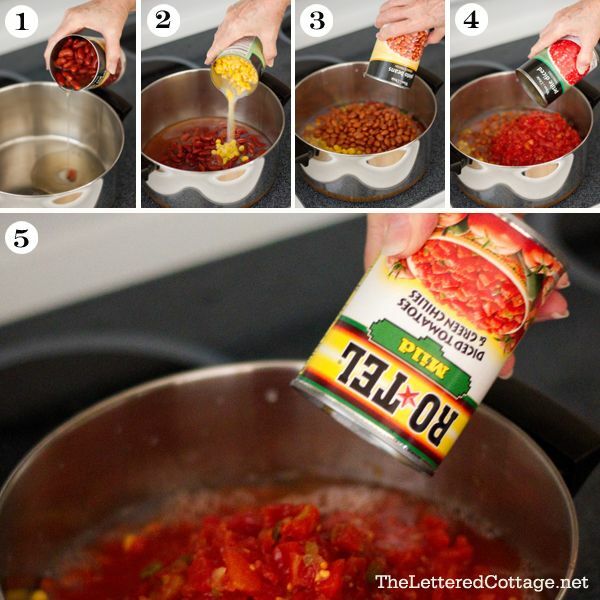 Start by pouring one can of kidney beans, one can of corn, one can of pinto beans, two cans of petite diced tomatoes, and one can of Rotel diced tomatoes & green chiles into a large pot or dutch oven. Once they’re all in, begin cooking the vegetables on medium heat. Simmer the soup for 30 minutes (with the lid on, stirring occasionally), and that’s it! Place corn, pinto beans, kidney beans, diced tomatoes and Rotel tomatoes in a large pot or dutch oven and begin cooking on medium heat. 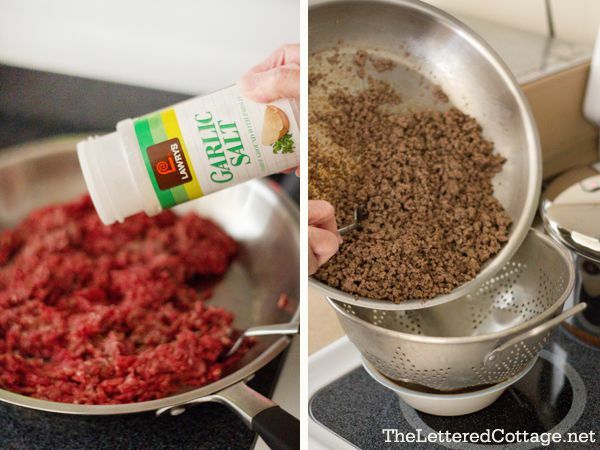 Place ground beef in a skillet, sprinkle with garlic salt, and cook until no longer pink. Drain meat using a colander, then return it to your skillet. 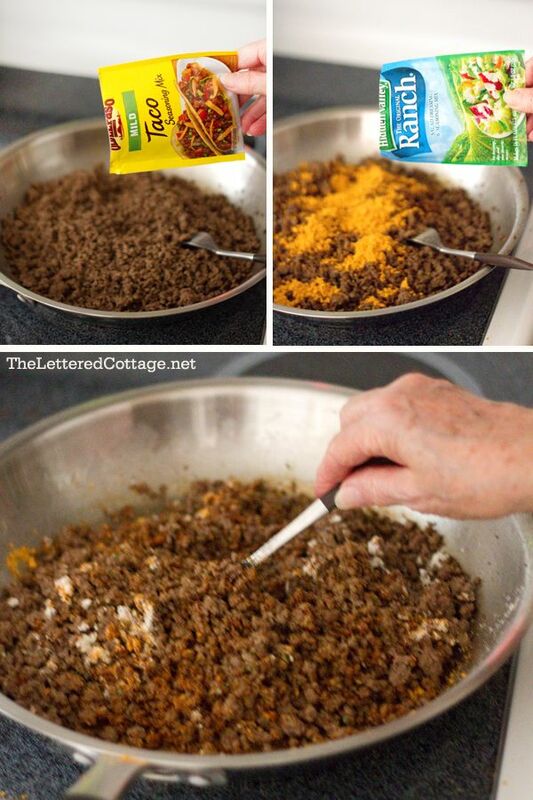 Add taco seasoning mix and Ranch seasoning mix to the ground beef, and mix well. 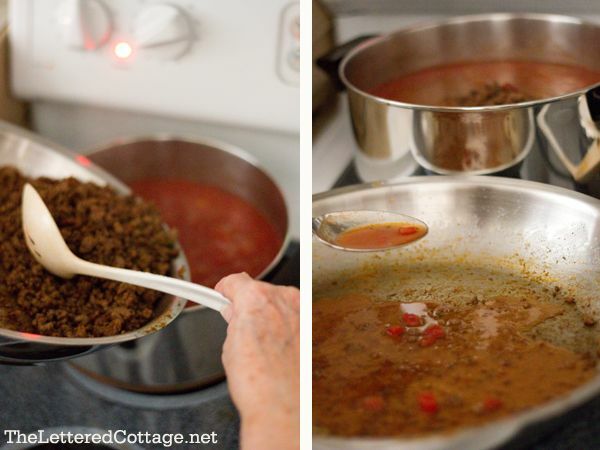 Add ground beef mixture to the vegetable pot and simmer (with the lid on, stirring occasionally) for 30 minutes. 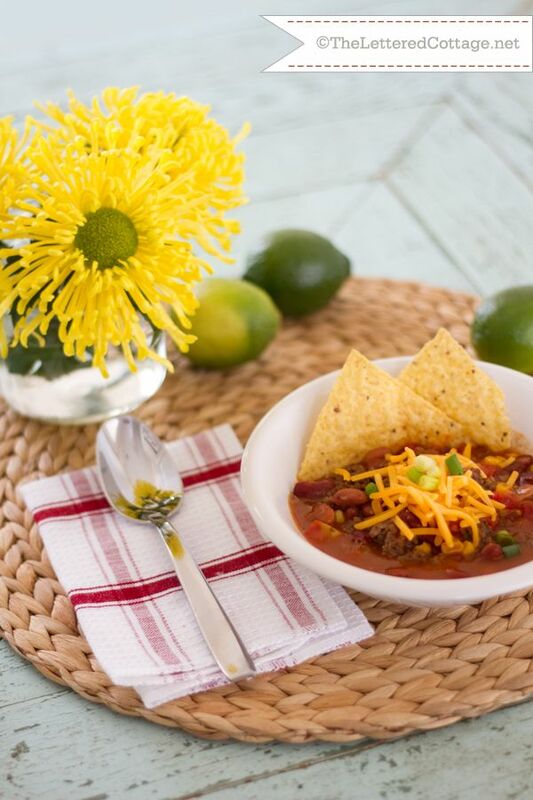 Serve with tortilla chips or corn chips. Optional toppings: shredded cheese, onions, or sour cream. I make almost that exact recipe in the crockpot but I use chicken. I LOVE it. I add sour cream to the top when I have it as well. It freezes well and is sooooo good! Now I am hungry and it is only breakfast time! Looks amazing,and with the cool temperatures coming it will be a great addition to my winter recipes. Carmen, I googled it, and there are recipes on Food.com and Allrecipes.com if you want to look at them. Hope this helps! This recipe sounds delicious and very easy! I’ll pin it for my files! Thanks Layla and Katie! 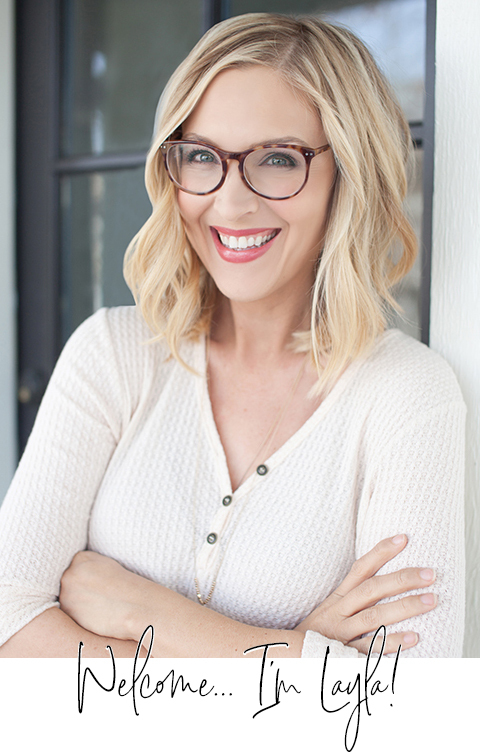 I love her recipes. Can’t wait to try this. Thank You! In Texas we make this mostly with chicken (from a rotisserie) and crushed tortilla chips to add body to the soup. We leave out the seasoning packets and just use a good quantity of chili powder (more than you might think). Another dirty little secret to make it extra special: add Velveeta toward the end and let it melt gently into the whole pot. You can change it up with black beans, ranch style beans (my fave) or an assortment that makes it colorful. But the tortilla chips and Velveeta are must haves here!